It was only a matter of time. The race for successful nuclear fusion technology has finally attracted the tech giant Google as it joins forces with a leading US fusion company in paving the way for clean and sustainable energy. Talk about producing results that’s more than the sum of its parts. Google (NASDAQ:GOOGL) has collaborated with a leading nuclear fusion company in order to develop an efficient computer algorithm that will essentially make the process of plasma experiments faster. The success of working with these plasmas, which still eludes every other player in the field, is the key to developing nuclear fusion technology, thus making this joint venture a significant step into the right direction. Tri Alpha Energy, backed by Microsoft co-founder Paul Allen, has raised over $500 million in investment and developed a unique scheme for plasma confinement called a field reversed configuration which was designed to become more stable as the energy goes up as opposed to other confinement methods that finds plasmas becoming harder to control as you heat them. It is a complex machine with over a thousand knobs and switches that pushes the envelope in terms of how much electrical power can be applied to generate and confine the plasma in such a small space over such a short time. This scenario presents a high stakes optimization problem (considering the investment on a machine like this) which requires balancing both plasma performance and equipment constraints. Google’s propensity for experiments and optimizing things found this challenge a worthy venture so this is where it steps in. The complexity of combining atoms at extreme temperatures in order to release huge amounts of energy is something that scientists continue to struggle with. The physics of nuclear fusion involves non-linear phenomena that imply how small changes can produce exponential outcome. This is what makes the engineering needed to suspend and contain the plasma very challenging. The optometrist algorithm enabled experiments on Tri Alpha Energy’s C2-U machine to progress much faster, making operations that took a month shortened to just a few hours. The research was published in the journal Scientific Reports on Tuesday describing how the algorithm managed to reveal unexpected ways of operating the plasma. 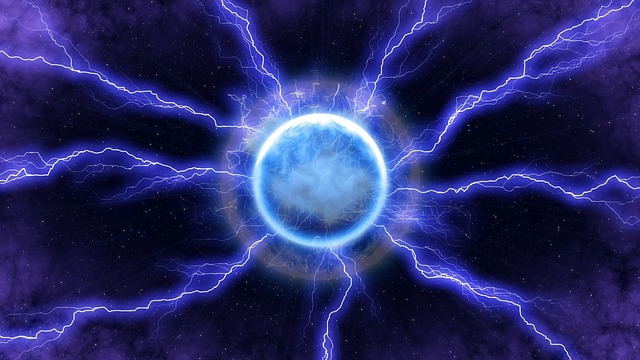 It also indicated that the team was able to achieve a 50% reduction in energy losses from the system while resulting in an increase in total plasma energy, which must reach a critical threshold for fusion to occur. Michl Binderbauer, president and chief technology officer at Tri Alpha Energy shared that the company was aiming to produce electricity within a decade and that the results they have recently produced would have taken years to solve if not for the power of advanced computation brought about by using the optometrist algorithm. With the optometrist algorithm, TAE’s C-2U machine was able to run experiments every eight minutes, blasting plasma with a beam of hydrogen atoms to keep it spinning in a magnetic field for up to 10 milliseconds, and researchers were able to discover a configuration where the total energy of the plasma actually went up after formation for about two milliseconds – a feat that’s considered a first step in the right direction. The C2-U machine has recently been replaced by a more powerful and sophisticated machine called Norman, named after company’s late co-founder Norman Rostoker, which achieved its first successful plasma in July. TAE revealed that their next plan of action is to build a demonstration power generator as soon as further experiments on Norman generate positive results. Other research groups involved in the race to develop nuclear fusion technology have also been making headway in their projects. The Iter project, a publicly funded program in Southern France, the largest by far, uses conventional tokamak, or doughnut-shaped, reactor and aims to create its first plasma in 2025, scaling up to its maximum power output by 2035. If successful, this €18 billion project between the US, the European Union, China, India, South Korea, Russia and Japan, that’s being built in a seven story facility, could eventually be considered the foundation of the first fusion power plants. Another reactor which opened in Germany in 2016 uses a stellarator which is designed to potentially operate continuously, rather than in pulses as in a tokamak. Privately funded projects led by experienced future researchers are also showing remarkable results in their research. The UK’s Tokamak Energy, for one, achieved first plasma with their new reactor just last April, which is their third in five years and are already setting their sights to reach the 100m degrees centigrade needed for fusion in 2018. With the increasingly dangerous signals brought by climate change becoming more frequent, scientists are even more determined to find the key to nuclear fusion in order to answer the need for a cleaner, safer, sustainable and unlimited energy for all. So far though, it’s been 60 years and billions of dollars worth of research that’s gone by but the goal of commercial scale nuclear fusion is still projected to take decades of work. Can Google’s algorithm help pave the way for researchers to get this done sooner? We certainly hope so and to partially answer the question ; we’ll know soon enough.